The purpose of your resume is to make a good first impression. The resume should summarize your experience, knowledge, and accomplishments and should tempt the reviewer to call you for the interview immediately. Just being highly qualified and experienced does not guarantee you the job. You need to have job seeking skills to get that high-paying job in Philippines. Same is true for the fresher. There are a lot of fresher candidates applying for fresh graduates jobs in the Philippines. Not all will get noticed. Only those who have something unique will make a mark. So how to stand out from the crowd? What if you can send an audio-video resume that can increase your chances of that dream job? Video Resume is the latest trend in the recruitment industry, and the buzz is growing. The video resume is a great tool wherein the employer can get the details he wants about you anytime anywhere, which undoubtedly will help you get noticed. Video resumes a new concept altogether, is a hot cake in the market. And it is as simple as posting selfies or videos on the social media. 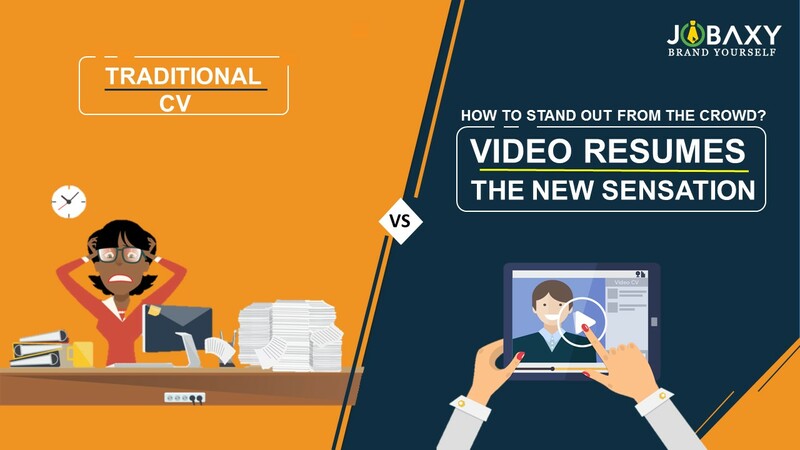 Video resumes give you advantage in the initial screening of the applications and if you shy away from it, you might lag behind in the competition. A well-designed video resume helps you present your skills and experience in a unique way to the recruiter. The video resume allows you to market yourself most appropriately, in your unique style, even before you are called for an interview. Recording a video is less stressful than facing the interview itself so you can be as creative as you can and present yourself. You get ample of time to rehearse your script before you go for the final one. Creating a video resume is simple for today’s young social media-friendly generation. You just have to speak about yourself and talking about yourself so rocket science. Record your resume meticulously, in a composed voice taking as many takes as you want.Startfrom your introduction followed by your education, skill sets and experience. Be confident, avoid using any slang. Impress the interviewer with your voice and pleasant personality. Video resumes are the latest trend, and the only job portal in Philippines that provides such a service is Jobaxy. Jobaxy not only offers audio-video resumes but also help with certain tips and tricks to get video resumes perfect. So if you are looking for a job, your first step to success is registration with Jobaxy. Register with Jobaxy and let the employer hunt for you.